Home » Blog » Exchanging Contracts on a House: What is the Process? Exchanging Contracts on a House: What is the Process? What is a house contract? A house contract is a legal document which is introduced as the final step in the house buying process. As it is binding, you must be certain you wish to go ahead with the process and all questions are asked before you sign as it can be very difficult to pull out after contracts have been exchanged. When do I exchange contracts and how? You have a formal mortgage offer in writing. You have agreed on an offer, including fixtures and fittings, between the seller and yourself. You have funds for a mortgage deposit in place. A mortgage valuation has been completed, including any structural surveys. You have agreed on a completion date for the sale. You have read and understood the contract. Any questions regarding information in the contract should be directed to your solicitor. You will have been in regular contact with your solicitor throughout your house buying or selling process, so your solicitor or conveyancer will be able to guide you through the exchanging on contracts process. Contracts are usually read out over the phone by the solicitors or conveyancers involved, on both the seller’s and buyer’s side. If there is a house chain involved, all of the solicitors will be involved in the process. They are usually read out over the phone to ensure the contracts are identical and no information is missing. The conversation is also recorded, for use in the future if needed. The contracts are released after all parties are ready to go ahead with the next stages. How long does it take to exchange contracts? The process of exchanging contracts for a house sale usually takes between six to eight weeks, depending on the complexity of the sale. It is possible to exchange contracts and complete the process on the same day however, this can be a very stressful process. If you do decide to exchange contracts and complete the same day, you must be prepared to move the same day, and this can cause issues with arranging removal men and taking time off work to move. Do you have to pay a deposit on exchange of contracts? If you’re buying a new home, you will typically have to pay a deposit, which is usually 10% of the purchase price. The deposit must be paid to the solicitor, who will then pay this across to the seller’s solicitors when the exchange of contracts takes place. This can in some cases be reduced to 5% of the purchase price however, this will need to be discussed with the sellers. If you are selling your property to fund the purchase of a new home, the deposit from the exchange of contracts is normally used to fund the deposit on the purchase of your new home. What is the difference between exchange of contracts and completion? Although exchanging contracts and the completion of the sale are usually mentioned together, they have two very separate meanings. The exchange of contract is when the house buying or selling process becomes legally binding, whereas the completion date is the date that you will be able to move into your new home. What happens after exchange of contracts when buying a house? Once contracts on all parts have been exchanged, the next step is completion. Before you fully take possession of your new home and move in, it’s important to make sure there are some extra checks and tasks completed. Make sure you complete your final checks with your estate agent, to ensure nothing structurally has changed or nothing has been damaged since you exchanged contracts. You should also send a copy of your title deeds to your mortgage lender who will keep a hold of your deeds until your mortgage is paid off. The remaining steps are not urgent steps, but ideally should be completed soon after you move in to your new home. This includes forwarding your post to your new address to ensure you receive important documents. You should also set up your utilities and transfer any accounts to your new address, as well as registering the transfer of ownership with the land registry. Can I pull out of sale after I have exchanged contracts? 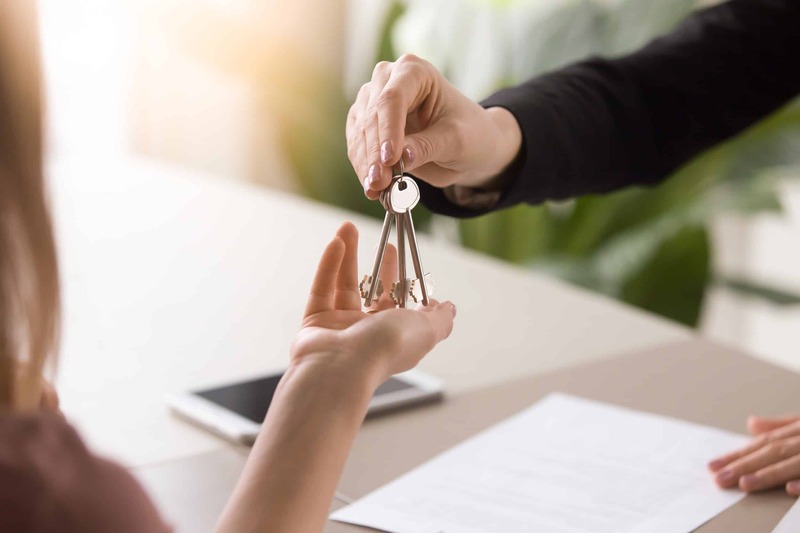 You are able to withdraw or reject an offer on a property BEFORE the contracts have been exchanged however, after this happens, you are tied into a legally binding document and will be subject to the terms and conditions of the contract. Before the contracts have been exchanged, you can reject an offer or withdraw from the process completely however, you may be subject to charges so you should discuss with your solicitor if you plan on withdrawing or rejecting an offer. Once you have exchanged contracts, you will be tied into a legally binding contract. If you do not wish to proceed with the sale or purchase, you will be breaching the terms of the contract. Due to this, it is important that you ensure you are fully committed to the sale or purchase before you exchange contracts. The party not at fault will usually issue a Notice to Complete with provides the other party a 10 day grace period to complete, which also requires to party at fault to pay a daily rate to the other party. Pulling out of the contract leads to legal issues and a financial strain, so communication with your solicitor is key if you do wish to withdraw. Are you looking for a quick house sale and to avoid expensive legal fees? Contact our surveying experts at Good Move today to find out how we can help you.